Israel Vibration is a reggae harmony trio, originating from Kingston, Jamaica. Lascelle "Wiss" Bulgin, Albert "Apple Gabriel" Craig, and Cecil "Skeleton" Spence all overcame adversity in the form of childhood polio and went on to be one of the most successful roots groups to form in Jamaica in the late 1970s. The trio initially met at a rehabilitation center. After going their separate ways, and each converting to the Rastafari movement, they reunited in Kingston and formed a vocal group. After going their separate ways, and each converting to the Rastafari movement, they reunited in Kingston and formed a vocal group. 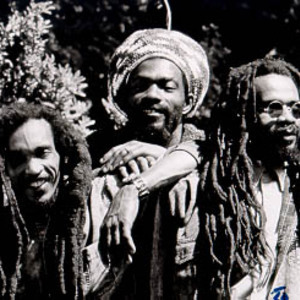 Funding for their first album came in the form of a grant from the Twelve Tribes of Israel branch of Rastafari after Hugh Booth, a member of the Twelve Tribes, had overheard the three men singing in a wooded area outside Kingston. Apple and Wiss were living in the area, which they had converted into a home. Israel Vibration recorded three albums; "The Same Song", "Unconquered People", and "Why You So Craven" before temporarily disbanding in 1981 after recording sessions for the latter were left incomplete. The three men moved to the United States to seek professional health care and escape the growing Dancehall movement in Jamaica. In 1988, Gary "Dr. Dread" Himmelfarb, founder of RAS Records, urged the trio to reunite and record an album. Skelly, Apple, and Wiss were flown to Washington, D.C. to record a new album at Lion and Fox Recording Studios. "Strength Of My Life", the group's fourth album and first of 18 CD releases on the RAS label, was met with great praise and is considered one of the few post-golden era touchstones of the roots reggae genre. In 1997, Apple Gabriel left the group to pursue a solo career. Skelly and Wiss continue to record albums and tour the world as Israel Vibration, backed by longtime associates Roots Radics.